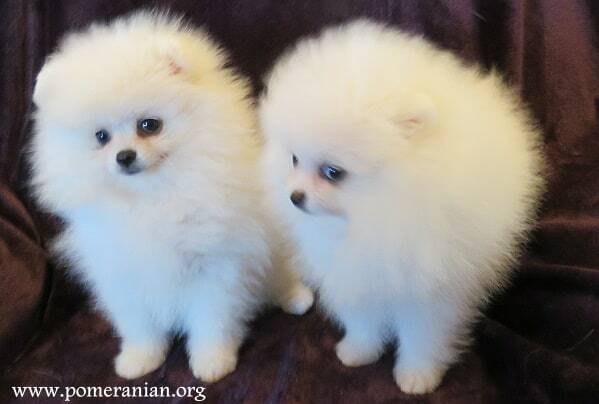 One Pomeranian common sickness in young puppies is puppy diarrhea. 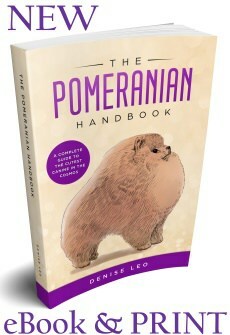 It may be a mild bout or a severe bout with your Pomeranian vomiting and shaking. That indicates further, more serious issues. 2 How Can You Know How Serious Puppy Diarrhea and Vomiting Really Is? 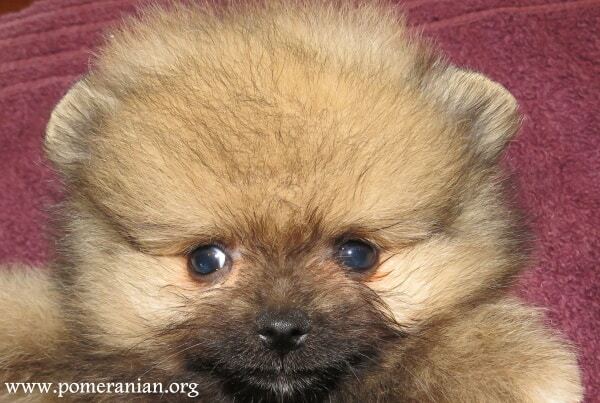 3.1 Here’s an effective herbal treatment for young puppies with mild cases of diarrhoea. 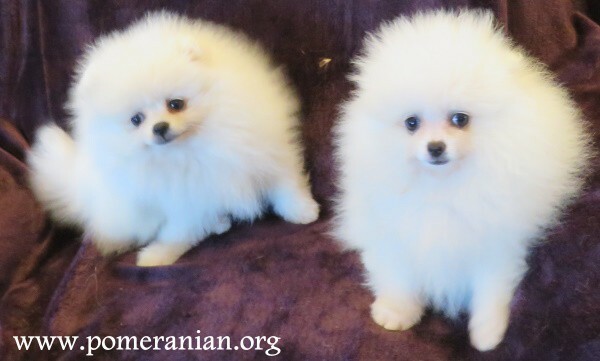 If your Pomeranian has diarrhea it’s critical that you keep a close eye on her because young puppies can become seriously ill faster than older dogs. Most dog owners have gone through at least one experience of puppy diarrhea. However, there’s no need to panic unless the problem is severe. The key is to monitor her closely so that, if it doesn’t settle quickly, you can take her to the vet or animal emergency clinic. Dehydration can be a dangerous problem for puppies if they have had diarrhoea for 24 hours or more. Stress can cause diarrhea in humans and animals. Consider a puppy’s situation. She’s introduced to a new home with strange people and a strange, new and different environment. She has been taken away from her litter mates and mother, as well as the only environment she has ever known. Puppy has probably travelled in a car, whether it’s a short or long distance. All the smells, sounds, sights and temptations have been changed in one massive action. She was previously one of a few puppies but now is the only puppy in a home full of strangers. Like most families, she will most likely be showered with attention in many different, and possibly overwhelming, ways. People will play with her more often and sit and pat and hug her as much as they can. Even though this change is positive, any major change in life can be stressful. 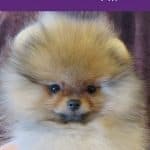 Consider that your puppy is young and hasn’t known much before coming to your family and also consider those major changes she has to make to settle into her new home, especially in the first few months where everything is new, different and interesting, it’s hardly surprising that her GI tract reacts to all that stress. If stress is the trigger for your puppy’s diarrhoea, it should settle within a few days. Ensure she always has fresh, clean to drink and even carry her to the bowl and entice her to drink. She needs to stay hydrated. Your vet can usually make suggestions on natural remedies to help your puppy get through this early adjustment time period if necessary. Ensure your puppy also has plenty of quiet and nap time to let her body settle. Depending on where you got your puppy from in the beginning, you may or may not have been provided with information on her current diet before you brought her back to your home. Lots of new puppy owners have no idea what food their new pet has been eating or they may choose to make changes for a particular reason (perhaps upgrading the diet to one that’s more nutritionally suitable for the particular species). A sudden alteration to your new puppy’s diet may cause diarrhoea. 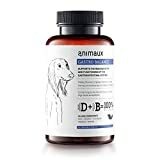 Older dogs may also suffer from a bout of diarrhoea if they haven’t been eating a wide variety of nutritious food. 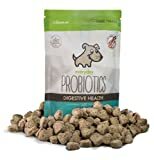 Even if puppy was eating a low grade chow that had been commercially prepared, if you suddenly make the change to a higher quality food, puppy’s digestive system can be temporarily upset and diarrhoea may be the result. Any changes you decide to make to your puppy’s diet must be gradual, ideally over a period of seven to 10 days (maybe even longer, depending on the puppy). Always try to learn what your puppy has been eating before you take her home. Then you can use some of the old food and blend it with new food so the transition is less traumatic on your puppy’s system. Gradually decrease the amount of old food and increase the volume of new food you’re feeding your pet. By the end of one to two weeks, the old food should be completely gone from the diet. It’s highly recommended that you intermittently rotate puppy’s food because there’s not a single protein source that should be fed to any dog forever. When making such changes, slowly decrease one brand and increase the new one so you minimise the risk of diarrhoea. Puppies are extremely curious about every aspect of the environment around them. Their main way of exploring is with their mouths. You may think your puppy is eating something that’s not food (and that’s potentially a severe problem on its own) but if he’s chewing, he may also swallow it if you don’t get it out of his mouth in time. If your puppy swallows something she shouldn’t, it may get stuck in her GI tract, it may be poisonous, it may be something that breaks into tiny fragments and gets swallowed. It may have sharp edges and can cause cuts and scrapes as it’s being chewed and/or swallowed. For a lot of reasons (including the possibility of swallowing non-food dangerous or foreign objects), you must never let your dog wander around the home or yard without you watching her…not even for a minute. Remember that your eye level is very different to that of a puppy and something tiny you may not even see may very well be big enough and appealing enough for puppy to chew. If you think your puppy swallowed something dangerous, ring your vet or an animal emergency clinic urgently. If you suspect your pup has swallowed something she shouldn’t, call her veterinarian or an animal emergency clinic immediately. Puppy may be born with intestinal worms or her mother may pass them on through her milk. Some of the most common worms to cause diarrhoea are: whipworms, roundworms, hookworms and tapeworms. The good news is that it’s easy to cure such infestations with medications so take puppy to the vet if you think worms are causing diarrhoea for her. Meanwhile, it’s important to keep puppy hydrated because dehydration is the number one concern for any puppy suffering with diarrhoea. After the puppies have been eradicated, talk to the vet about natural, safe choices to help avoid such problems in the future. Your puppy may have single-celled organisms called protozoan parasites that are causing diarrhoea. The most common of these are giardia and coccidia. If your puppy has this parasite in her GI tract, her diarrhoea will smell and be quite fluidic. There may also be mucus and/or blood in the stool. Puppy may also have lost her appetite, may vomit or can feel fatigued. Get your puppy to the vet urgently if you believe parasites are causing your puppy’s diarrhoea because medication may be needed to eliminate this problem. Unfortunately, there are often side effects that come with many of the drugs that vets use when treating such parasites and the treatment itself may not always work properly. It’s wise to see an integrative or holistic vet who may be able to recommend alternative natural ways to fix the problem. Whatever you do, treatment is required urgently and keep puppy hydrated as much as possible while this is all happening. Both coccidia and giardia can be transmitted to other pets and to people as well. It’s essential to eliminate these parasites from your environment and the family must have good personal hygiene so this problem doesn’t spread. 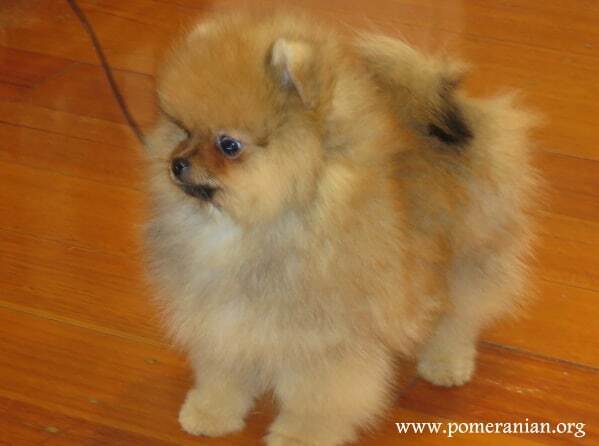 Parvo in Pomeranians is deadly. Diarrhoea is a very common symptom of several canine viral infections. The major one is Parvovirus, also known as Parvo or CPV. Parvovirus is very contagious and is spread by being exposed to the infected dog’s faeces. Parvo gets into the small intestine’s lining and makes the diarrhoea bloody and gives it a horrible smell. It causes the dog to feel lethargic and depressed as well as making her vomit and face severe dehydration. Older dogs will mostly recover from this serious infection but it may prove fatal in young puppies. 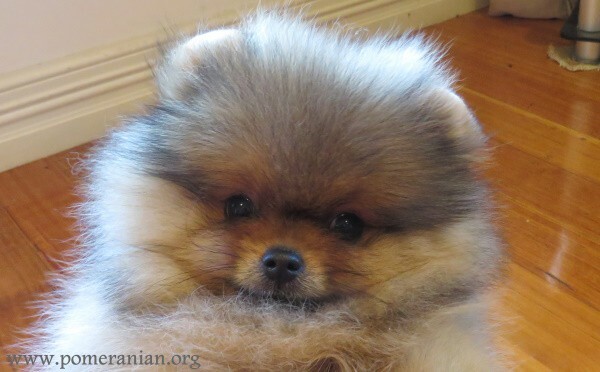 Symptoms of Parvo include: bloody diarrhea in puppies, puppy vomiting and diarrhea, pomeranian lethargic, puppy pooping blood, puppies blood in stool. How Can You Know How Serious Puppy Diarrhea and Vomiting Really Is? There’s no specific rule that can tell you if your puppy’s diarrhoea is mild (in which case, she’ll recover quickly) or is a serious symptom of something that may threaten her health and so she needs urgent help. If puppy suddenly has stools that are watery, particularly if there’s also blood in them, and she also vomits and/or has other symptoms, it’s best to see the vet urgently. Young puppies can become very sick in just a few hours so it’s best to be safe than sorry. When you have a new puppy, the key is to keep your eye on her all the time. If you can’t watch her (even for a minute) be self-disciplined enough that you’ll place her in her comfortable, secure cage. This decreases her risk of chewing and swallowing something harmful. The same goes for her diet. Make gradual changes to prevent causing an upset GI system. Because she’s in a new environment, she probably wants to run around and check everything out 24/7. However, she needs lots of quiet time and rest to reduce the stress of this fun new home. Wait until puppy has had two well-timed vaccinations or homeopathic nosodes, it’s unwise to visit dog parks and other outdoor places where strange dogs will be. Also keep her away from anywhere that other dogs do their business. It is important to start the socialising process from day one. Keeping your puppy safe before she’s fully immunised (i.e. 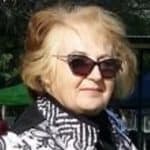 her body’s immune system builds the proper antibodies to battle life-threatening infections) doesn’t mean that she has to live in quarantine or be isolated all the time. Take sensible precautions to help decrease or prevent possible diarrhoea and tummy upsets and learn when you must immediately contact your vet. The more knowledge you have about your puppy’s stools, the better. Then you’ll know what to do in case of a real emergency. If your puppy has a case of mild diarrhoea but is still energetic and playful and weighs over five pounds, make her fast for 12 hours, overnight is best. The GI tract can’t be working when it needs to restore, rest and repair itself. If puppy is better in the morning, make her vegetable or chicken broth (without onion) and cooked sweet potato or pumpkin pie (but NOT the pumpkin filling). If the stool is better but not fully better, a second and third meal can be given. This can be the pumpkin or sweet potato and some ground turkey (without any bones). Once she is better, you can return to her usual diet. If the diarrhoea persists but her behaviour is ok, collect a stool sample and go to the vet. Stir well and let cool. 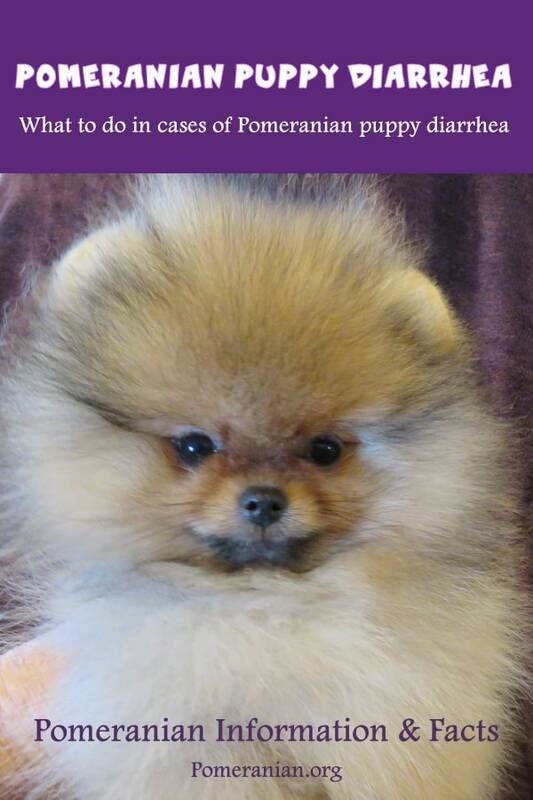 Give puppy two or three teaspoons of the mixture three times each day. Ensure she drinks lots of water between times. You may choose to give her an electrolyte solution to replace lost nutrients and prevent dehydration. 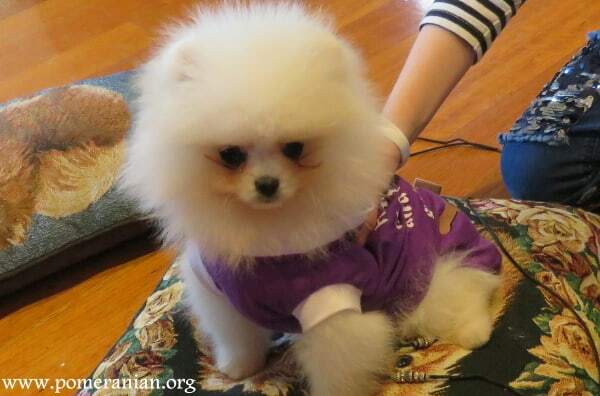 If your Pomeranian does not want to eat or drink, or the stomach upset lasts more than a few hours a visit to your Veterinarian is recommended. For details on Pomeanian Health Issues Click Here. 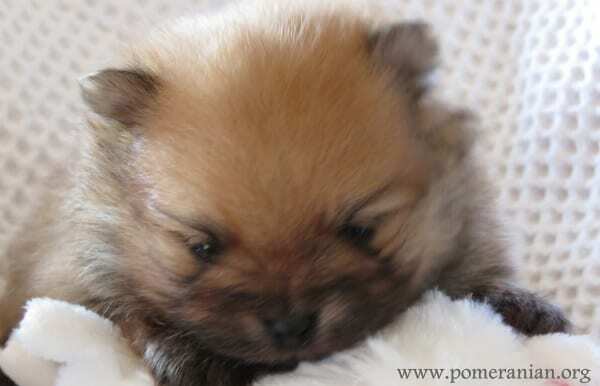 What to do in cases of Pomeranian puppy diarrhea.